Is paying with your mobile a step too far? A new contactless payment system could spell the end for credit and debit cards. But with the system now reaching our mobile phones, is technology killing traditional banking services? There’s no doubt that technology has fundamentally changed our relationship with money – in many ways for the better. These days, we can check our accounts day and night, receive texts when nearing our overdraft limit and transfer money at the click of a mouse. The most recent advancement comes with the announcement that Orange is producing a contactless payment system for mobile phones, which may herald the beginning of the end for credit and debit cards. The new service, which has been launched in association with Barclaycard, will let us pay for goods of £15 or less via our mobiles. The system will launch in summer 2011 and, while the mobile phone giant is starting small, it suggests that this is just the first step in a trend that could eventually see us using our mobiles to pay for everything from the weekly shop to our annual holiday. But is this a step too far? Cash is obviously no longer king, cheques are on their way out and many banks would rather you conducted your business online than in their ever-decreasing branches. If you’re not tech-savvy, you could find yourself left behind financially-speaking. Who actually wants contactless tech? And the strange fact is that there seems to be no public outcry about greater technological interferences in our finances – indeed, in our findings, quite the opposite is true. A recent poll of more than 1,000 of you here on Which? Conversation, found that 92% didn’t want to get rid of cheques. Plus, in our last Which? 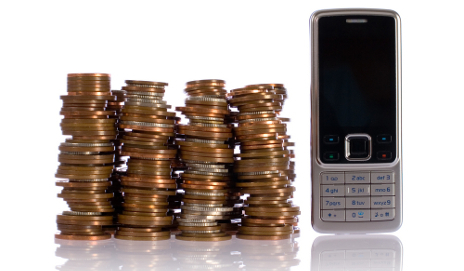 survey, we found that only 6% of people used mobile-phone banking. Advances such as online banking and same-day transfers have made all our lives easier, but progress shouldn’t be used as an excuse to cut services that so many people rely on. Banks have to realise that they are there to serve all members of society, not just those with iPhones and Blackberries. Crikey where did you do that survey, the Silver Clouds care home for the elderly and infirm?! Cheques should have been dumped aeons ago. Mobile banking has its place, as does contact-less payment – certainly for small value transactions. Personally, I would think there would be secuity issues using a mobile phone for banking? I wouldn’t even use my mobile to log on to check account balances etc. Whoops! Of course I meant SECURITY issues! But it really is hard to type when you’re just a silly little dog! You should see me operate my smartphone though!!!! Danny i have seen multiple reports which put the risk of losing card to less than £15.. and infact some claim its more secured than chip and pin card as you never let your card go from your hand.